Jet is a type of lignite,a precursor to coal. Jet is not considered a true mineral, but rather a mineraloid, being derived from decaying wood under extreme pressure. Jet is either black or dark brown. The jet is found in England. 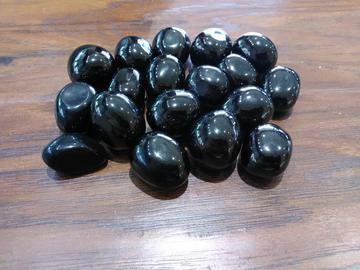 Jet is used as a stone of protection, yet it also carries some healing properties, including pain relief for headaches/migraines and enhanced healing of traumatic injuries. It is also known as a stone of good luck.